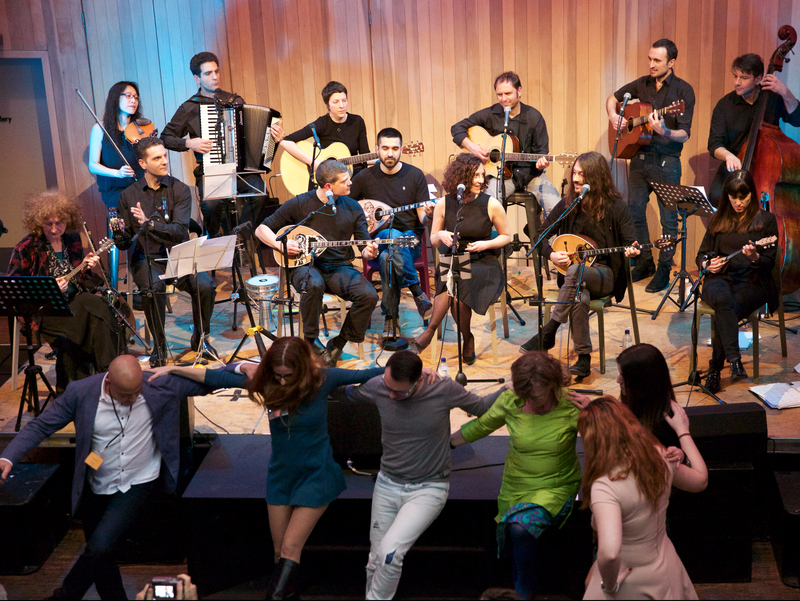 Come and enjoy performances given by the best UK based bands as well as some of the greatest international musicians in Rebetiko from Greece. We also provide platforms for young upcoming artists as well as amateur groups who have a passion for this music. These happen in different types of venues across the UK. They range from the finest concerts halls (King’s Place) and atmospheric world/jazz music venues (The Green Note) to small restaurants and cafes (Music and Beans). We give anyone the rare opportunity to work closely with the wonderful musicians that come over from Greece. These experts give interactive workshops on techniques, performance practise, harmony and rare insight into their own personal experience with this music. There are also lectures on many aspects of the music, from the making of instruments, history, the lives of the great composers, singers and instrumentalists among other subjects. The festival works closely with outreach projects, education and family events throughout the year. We send musicians to work in hospitals, care centres for the elderly and people with dementia, hospices, prisons and individual homes. Our Education projects are for schools of all nationalities and all ages. Family events vary from concerts and workshops for the whole family to Shadow Puppet theatre performances.